PHILADELPHIA, Pa. – Devante Downs was added to his second watch list honoring the nation's top defensive player in as many weeks when he joined the watch list for the Chuck Bednarik Award on Friday. The Maxwell Football Club announced the additions for players who warranted attention because of their noteworthy play in 2017. Last Friday, Downs was added to the Lott IMPACT Trophy watch list. Downs is making a strong case for National and Pac-12 Defensive Player of the Year honors through the first five games of his 2017 senior campaign. He has been the Pac-12 Defensive Player of the Week twice to give the Golden Bears their first two-time winner of the award since Mike Mohamed in 2010 and also been selected to serve as one of the team's game captains three times in the first six contests (Weber State, Oregon, Washington). Downs leads the Pac-12 in tackles (54, 10.8 tpg) while ranking eighth nationally. He is also among Pac-12 and NCAA leaders in solo tackles (2nd Pac-12, T15th NCAA; 31, 6.2 stpg), forced fumbles (T4th Pac-12, T23rd NCAA; 0.40 ffpg, 2 total), interceptions (T6th Pac-12; 0.40 ipg, 2 total), sacks (T8th Pac-12; 0.60 spg, 3.0 total) and tackles for loss (T12th Pac-12; 1.00 tflpg, 5.0 total). 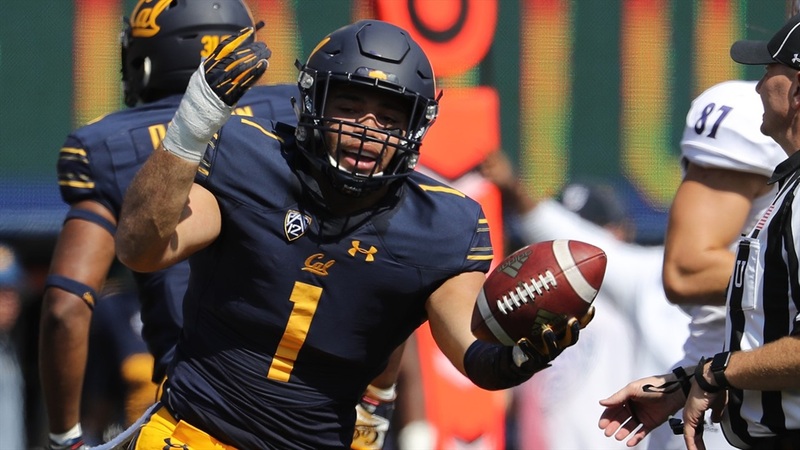 Downs has played in 38 career games with 18 starts since his arrival at Cal in 2014 and is the team's active career leader with 201 tackles, 14.0 tackles for loss (-60 yards), 8.0 sacks (-40 yards), five interceptions that he has returned 59 yards and three forced fumbles. He is also third among the team's active career leaders with two fumble recoveries while he has added three pass breakups and four quarterback hurries. Semifinalists for the Chuck Bednarik Award will be named October 30 before three finalists November 20. The winner of the award will be announced as part of the Home Depot College Football Awards Show held December 7 at the College Football Hall of Fame in Atlanta. The formal presentation of the award will be made at the Maxwell Football Club Awards Gala hosted by Tropicana Hotel & Casino Atlantic City on March 9, 2018. The Chuck Bednarik Award has been presented annually since 1995 and is named in honor of Chuck Bednarik, a member of both the College Football and Pro Football Halls of Fame. All members of the Maxwell Club, NCAA sports information directors, head coaches and selected national media are eligible to vote.